San Martin Corrientes (La Liga) landed 27-year old Serbian power forward Milos Petkovic (204-100kg-91). 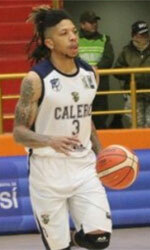 He played in the summer at Calero in Bolivian Libobasquet. In two Liga Sudamericana games he averaged impressive 16.5ppg, 7.0rpg, 2.0spg and 1.0bpg. He received also Latinbasket.com All-Bolivian Libobasquet 2nd Team award in 2018. Petkovic won Romanian Liga I championship title in 2013. Petkovic is a very experienced player. 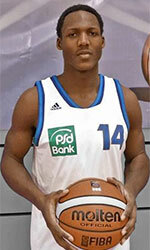 And here thanks to pro basketball he experienced life in seven different countries playing on four different continents. He is familiar with European, Asian, Latin American and of course North American leagues. Petkovic has played previously professionally in Bahrain (Isa Town), Bosnia (KK HEO Bileca), Montenegro (Ulcinj), Serbia (Vrsac), Romania (Cluj Napoca, CSM Steaua Bucuresti, CSA Steaua 2 CSM EximBank Bucuresti and Concordia), Bolivia (Penarol, Pichincha and AND1 La Paz) and FYR Macedonia (Kozuv). Let's have closer look into His outlook: Milos is a dominant offensive post player who can score with his back to the bucket, face up and shoot high percentages, or drive to the rim and finish strong. He can also shoot the 3 point shot and stretch defenses. Very fast in transition and runs the floor fast. Very aggressive rebounder and shot blocker. Strong finisher in the paint. So strong that clubs have used Milos solely in the paint and have not needed his 3 point shooting ability.